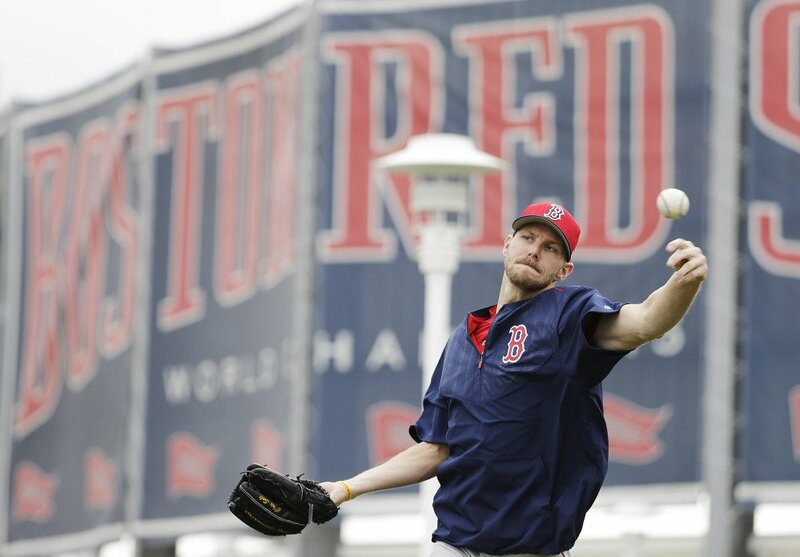 Boston begins spring training with high expectations – and some uncertainties. Pitchers and catchers will gather in the shadows of JetBlue Park Tuesday morning for the first official workout of the 2017 Boston Red Sox season. On the heels of an American League East title, a successful offseason and a fan base energized by a Super Bowl win for the Patriots, this team begins camp facing very high expectations. We saw it last season with David Price and Craig Kimbrel, and saw it the year before with Rick Porcello. Big-name pitchers have a tendency to underperform in their first season after signing a big-money, big-expectation contract. Will Chris Sale have the same issues? The good news here is Price and Kimbrel – both of whom had decent seasons (but not up to the standards of their career) – are back for their second year. And, as we saw with Porcello last season, that second year can be a thing of beauty. Is Pablo Sandoval ready to become a productive member of the Red Sox? He spent the winter working out and posting pictures of his slimmed-down self. The starting third-base job is his to lose now that Travis Shaw is gone. Can he stay away from the buffet table and avoid the temptations of social media to focus on baseball? If so, he could actually help improve production at the third-base position that slumped in the second half last year. David Ortiz is not walking through that clubhouse door. There is simply no way to replace the man labeled “the greatest clutch hitter in Red Sox history” by team ownership. The Sox will have to replace his offense by committee. Additionally, Dustin Pedroia, Xander Bogaerts and Mookie Betts will have to remain elite hitters without the threat of Ortiz hitting behind them. They will undoubtedly see tougher pitches with opposing pitchers a little less concerned about putting men on base. Kimbrel looks to bounce back from a season that would only be considered disappointing by his own lofty standards. Tyler Thornburg joins the team from Milwaukee and tries to show that he can be a late-inning reliever in a big market. Matt Barnes and Joe Kelly look to harness their velocity and become complete relievers. We know who the Big Three are at the top of the rotation. Behind Sale, Price,and Porcello are two all-stars and a budding young talent. If everyone’s healthy either Steven Wright, Drew Pomeranz or Eduardo Rodriguez won’t be in the rotation. Pomeranz has relief experience and could go to the bullpen while Rodriguez has options remaining and could go to Pawtucket. This won’t be an easy call for Dave Dombrowski, the president of baseball operations, and Manager John Farrell. General Manager Mike Hazen and bench coach Torey Lovullo left for the Arizona Diamondbacks and took a decent portion of the front office with them. The Red Sox are stable at the top, but will have a slew of changes on the baseball operations side. Gary DiSarcina will replace the popular Lovullo and look to be the key liaison between Farrell and his players. For just the second time in seven years, the big storyline surrounding the Red Sox isn’t about the team trying to get back to the playoffs after missing out. While they were swept by Cleveland in a disappointing divisional series they will look to build on a division title with a young nucleus that remains essentially intact. The Sox plan on writing a happy ending to the story of 2017, and the early verses are just coming together in the sun of southwest Florida.